Music evokes images and feelings. It conjures up thoughts of what once was and what might possibly be. In short, music tells stories. And, with just a little bit of help, those stories can come to life within our minds. Bob Caporale’s Theatre Of Life project evolves this concept of musical storytelling by combining the best elements of musical theatre, soundtrack, and progressive rock into a series of electronically orchestrated concept albums that each tell a haunting story about life, death, or something somewhere in between. But the music is only part of the picture. What makes the Theatre Of Life project truly unique are the series of novellas that accompany the albums; helping to complete each story and bringing the complete soundtrack to life. The project began back in 1990 with the first album, Volume I: Nightmares, which was recorded entirely on a 4-track cassette recorder! Over the years, each album has benefitted from progressively better (and more accessible) music technology, as well as the evolving skills of the composer and featured artists themselves. The latest album, Volume V: The Pier, was released in 2008 and is available on iTunes, Amazon, and most digital music retailers. Select songs from the earlier albums (although currently out of print) have also recently been remastered and are available online as well. Today, Theatre Of Life continues to produce new material, although at a somewhat different pace. 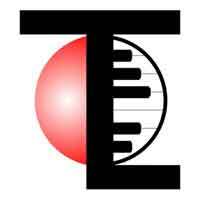 The composer, Bob Caporale, has shifted gears and is now focused on running Rawls Creek Studios, an online music and media publishing company for podcasts, video series, ebooks, and, of course, digital music. In additon to the Theatre Of Life novellas, he is also the author of the book Creative Strategy Generation (McGraw-Hill, 2015), which parallels the process of strategic planning with none other than the process of music composition. 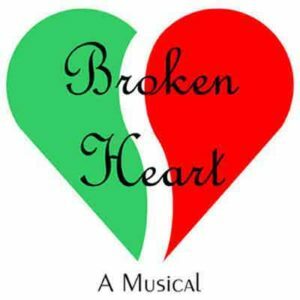 Bob has also written a full-length musical entitled Broken Heart that has been released as a concept recording. Even with all of this activity, new material is being written for a future Theatre Of Life album, and the novella for The Pier is scheduled for release in the near future as well. So, although it may be a little bit quieter these days, the Theatre will never be fully darkened!